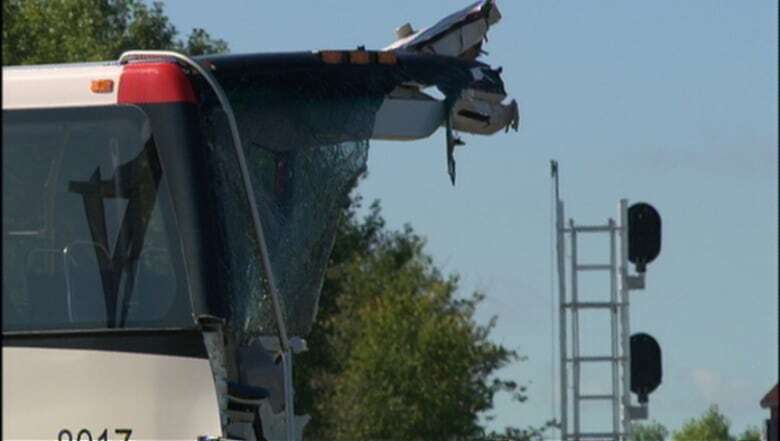 Crash tests that could make transit buses safer and more resilient in a collision have been stalled because Transport Canada has been unable to purchase a bus shell for testing. After the crash involving a Via Rail train and an Ottawa city bus in 2013, the Transportation Safety Board's investigation highlighted a lack of crash standards for transit buses and recommended Transport Canada put standards in place. 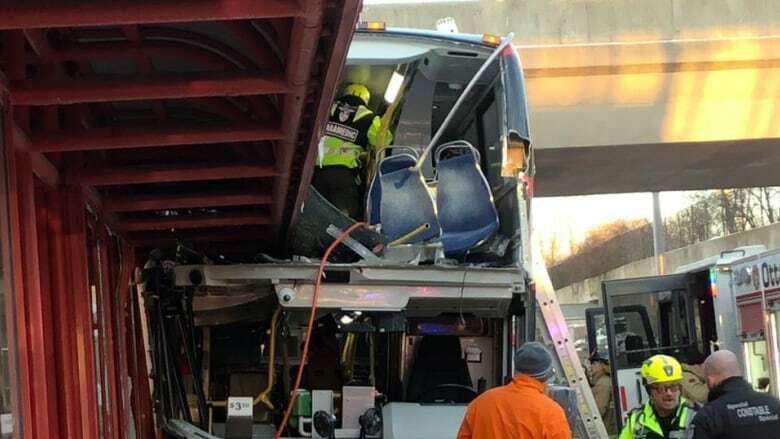 The bus in the 2013 crash was from the same manufacturer as the one involved in last Friday's crash at Westboro station. Transport Canada sets standards for cars, vans and SUVs, dictating how they must perform in front-impact, side-impact and rollover crashes. There are also rules for school buses, but larger vehicles like transit buses are exempt. A bus shell or "test buck" is a life-size replica that "reproduces the structural elements of a bus and is intended for use in research, testing and evaluation of occupant protection," according to Transport Canada. The department has filed regular updates on its progress in response to the TSB's recommendation and has said it can't acquire the shell it would need to start testing buses. "The crashworthiness test program is contingent on acquiring a bus shell, either in part or in whole. TC has searched extensively to acquire such a shell, but has not yet been successful," they wrote online in February 2017, 14 months after the TSB's recommendation. Transport Canada had a three-year plan to acquire the shell, run tests and write recommendations, but could not start that process until it acquired the shell, a problem that still persists. In January 2018, the department said it was considering working with industry on the problem because it still could not find a shell. Sau Sau Liu, a spokesperson for Transport Canada, said buying the equipment is more complex than it might seem. "This is a highly complex, custom-made device, whose design requires significant input from vehicle manufacturers. "Acquiring this device requires in-depth analysis, given the complex design considerations, and the need to seek out qualified and available bidders through a competitive process," she said in an email to CBC News. She said they were working with Public Services and Procurement Canada to launch a tender soon, but did not provide a specific date. Jamie Catania is president of 30 Forensic Engineering, a firm which does crash reconstruction. He said buses are generally safer as a method of travel. He said a shell like the department is looking for allows for tests while minimizing costs. "You want to set up a very rigid and crashworthy structure that you can mount say the front of a bus to and then you would subject the front of that bus to a crash with a barrier," he said. "You can do the same study without having to write-off an entire bus every single time you did it." He said Transport Canada's delay could be because buses are generally safer and it may not be a priority. "Up to a couple years ago bus incidents were not that common and so there may be minds being changed now."